Dear Applicants, AIIMS Raipur has published a recruitment notification of 141 Senior Resident Jobs. Candidates who are waiting for AIIMS Raipur Recruitment 2019 have a great Job opportunity for them. Selection of the candidates will be based on Interview. Interested candidates can fill a prescribed application form for Raipur Recruitment 2019 before the last date 05.02.2019. Registration for Senior resident Jobs will be started form 18.01.2019. All India Institute of Medical Sciences is inviting application form for recruiting candidates on 141 Sr. Resident Jobs through Interview. The mode for submitting application form through Online Mode. Candidates who are going to fill Application form should check ”What is the Required Qualification Details for AIIMS Raipur Vacancy 2019” which is mention below. Other information about Raipur AIIMS Senior Resident Jobs like Age Limit, Application form etc. you can get from given below details. What is the Required Eligibility Criteria For Raipur Vacancy 2019? AM I Eligible For AIIMS Raipur Resident Jobs? How Can I Fill Online Form For Raipur 2019| AIIMS Senior Resident Application form? What is the Important dates For AIIMS Raipur Recruitment 2018 ? How Much Application Fees is required to Pay for Filling AIIMS Raipur Jobs Online Form ? How To Apply Application form for Raipur Vacancy 2017 ? Raipur AIIMS 2019 Age Limit: Upper age of the candidates for Raipur AIIMS 2019 should be 37 years. Relaxation in age for AIIMS Raipur Recruitment 2019 will applicable as per Department Norms. 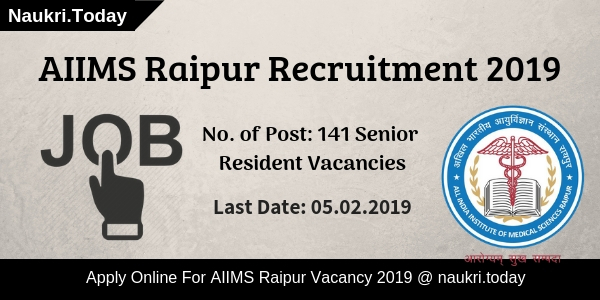 AIIMS Raipur Senior Resident Vacancy 2019 Education Qualification: Candidates who are going to apply for Raipur AIIMS Senior Resident Jobs should have done Post Graduate Medical Degree/ Diploma in respective Trade from any recognized University or institute. Other information regarding Qualification you can get from official AIIMS Raipur Vacancy Notification 2019. Pay Scale For Raipur vacancy 2019: Applicants who will get selected for AIIMS Raipur Jobs 2019 will be pay band Rs. 15,600/ –to 39,100/- with grade pay Rs. 6,600/- + NPA for Senior resident Vacancy. Application Fee for Raipur AIIMS Resident Form: General/OBC Category candidates need to pay Rs. 1000/- for applying application form for Raipur Vacancy 2019. Other category candidates of SC/ST Category must paid Rs. 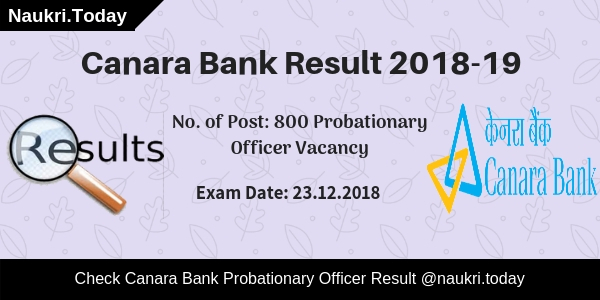 800/ –for applying application form. Fees should be deposited through DD/ Bankers Cheque in favor of AIIMS Raipur payable at Raipur. AIIMS Raipur Bharti 2019 Selection Criteria: Selection of the candidates for AIIMS Raipur Recruitment 2019 will be based on Interview & Academic Qualification. Candidates can check more information about Examination from official Notification or from here. Keep visiting this page for more updates about Raipur Recruitment 2019. First of all, candidates log on to the official website www.aiimsraipur.edu.in. Now Click on Vacancy Section & Click on official AIIMS Raipur Jobs Notification link. Fill all required information in form without any mistake. Attach your recent passport size photo & signature in the form properly. Deposit application fee & Attach a copy with an application form. Conclusion: All India Institute of Medical Science has issued notification for filling 141 Senior Resiedent Vacancies. Candidates may apply online for AIIMS Raipur Recruitment 2019 form here. Hello Friends, Are you looking for AIIMS Raipur Recruitment 2018? All India Institute of Medical Sciences (AIIMS Raipur) has been published an employment notification to fill up Resident Posts. There are 50 vacancies are available for AIIMS Raipur Vacancy 2018. 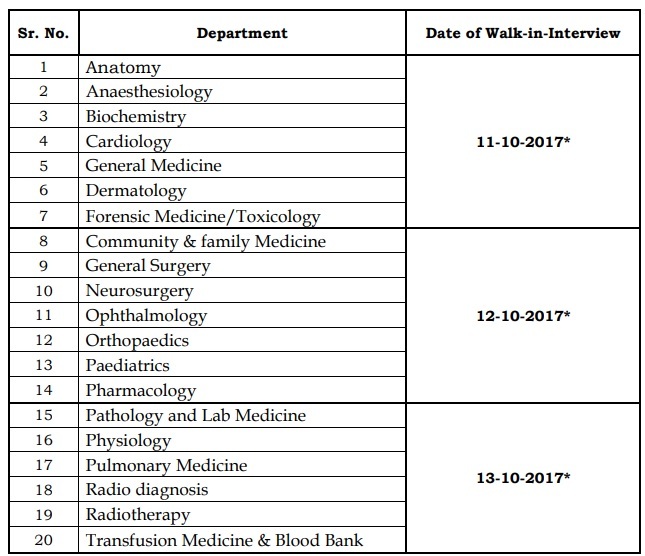 Interested and talented candidates may go for Walk-In-Interview for AIIMS Raipur Jobs 2018. So Applicants must go for Walk-In-Interview at given address. A Walk-In-Interview will be conducted on 14 August 2018. Candidates must be reached on time at given address. Participants should check here eligibility criteria, age, and other details regarding AIIMS Raipur Bharti 2018. Applicants must fill up an application form and send it to given address before the interview date. Before applying for AIIMS Raipur Resident Jobs 2018 collect information about Education qualification, Age Limit, and Pay Scale. If Applicants full fill the eligibility Criteria must go for Walk-In-Interview. Check below section for brief details regarding eligibility criteria. Participants must download AIIMS Raipur Application From from links given below. Applicants must possess MBBS Degree in relevant subject to apply for AIIMS Raipur Recruitment 2018 . For Further more details candidates should check official AIIMS Raipur Notification 2018. Here we provided you links to download AIIMS Raipur Resident Vacancy 2018. Upper Age Limit of Applicants should be 30 Years as on Interview. Aspirants who belong to reserved Category will get age relaxation as per rules of Govt. Age Relaxation will be 5 Years for SC/ST and 3 Years for OBC Category. Aspirants who belong to PWD Category will get Age Relaxation up to 10 Years. Applicants who are going to take part in AIIMS Raipur Recruitment 2018 should Pay Application Fee of Rs. 1000/-. Application Fee will be Pay in Demand Draft in Favour of ‘AIIMS Raipur’ Payable at AIIMS Raipur. Candidates Belong to reserved Category like SC/ST/PWD/Women no need to pay any fee. Selection Procedure: Aspirants who are participating in AIIMS Raipur Recruitment 2018 will be selected on the basis of Interview Only. AIIMS Raipur Walk-In-Interview will be held on 14th August 2018 at given Venue. Participants must log on to official website of AIIMS Raipur Recruitment. Candidates may search for AIIMS Raipur Vacancy section at Homepage. After that Aspirants may read complete AIIMS Raipur Notification. Eligible Candidates must fill up application form and send it to given address. Conclusion: All India Institution of Medical Science has issued notification for 50 Resident Post. Candidates must fill up application form for AIIMS Raipur Recruitment 2018 and send it to given address. Are you waiting for AIIMS Raipur Recruitment 2018 Jobs Notification ??? If yes, then here is an important news for you. Raipur has issued recruitment notification of 190 Group C Various Vacancies. Candidates who are interested in AIIMS Raipur Vacancy 2018 can fill online form here before the last date. Submission of Application form for Raipur Group C Vacancies will started. Closing date for filling online form is 12.01.2018. All India Institute of Medical Sciences, Raipur in inviting online form for filling 190 Group C vacancies. This is great job opportunity for then applicants who are searching Jobs In Raipur AIIMS. Applicants who are going to fill online form for AIIMS Raipur Recruitment 2018 must check eligibility Criteria & Other details from here. All details related to Eligibility Criteria, selection & vacancy Division is mention in below article. Dear Applicants, in the below section we are describe full details about Group C Vacancies Eligibility Criteria, Pay Scale & Selection Criteria. Check required eligibility Criteria before filing online form. These information is also mention in AIIMS Raipur Jobs Notification which is mention here. Candidates must have passed Matriculation/ 10+2/Diploma/ Degree in respective trade from any recognized University or institute for Raipur Vacancies. Post wise required Education Qualification you can check from official notification. Post No. 02, 07 & 08 : Age must be in between 18 to 27 years . For Post No. 03 (Sanitary Inspector) : Candidates age should be 18 years to 35 years. Post No. 04 : Minimum age 21 years, Maximum age 30 years. For Post No. 09 : Age must be in between 30 years to 45 years for AIIMS Raipur Hospital Attendant Jobs.. 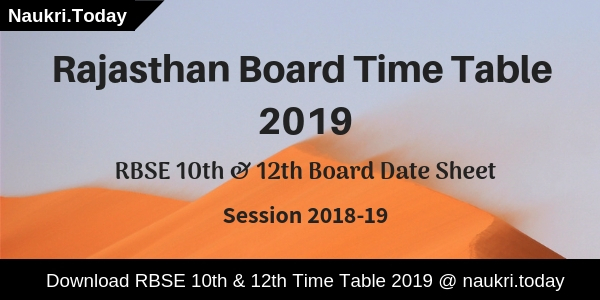 Candidates of General/OBC/ESM Category must paid Rs. 1000/- for filling online form for Raipur AIIMS 2017. Other Category applicants of SC/ST/PWD are exempted from paying application fee. Application Fees must be deposit through online form. Post No. 01, 05 : Candidates will paid pay band Rs. 5,200/- to 20,200/- with GP RS. 2,400/- for this vacancy. For Post No. 02 & 10 : Rs. 5,200/- to 20,200/- + Grade pay Rs. 1,800/- will paid for this AIIMS Raipur Jobs. Post No. 03 : Applicants will pay Rs. 5,200/- to 20,200/- with Grade pay Rs. 2,800/- for this post. Post No. 04 : Rs. 5,200/- to 20,200/- with GO Rs. 2,000/- will paid for AIIMS Library Attendant vacancies. For Post No. 06 to 09 : Rs. 5,200/- to 20,200/- + GP Rs. 1,900/- for this vacancy. Selection of the candidates for AIIMS Raipur Vacancy 2018 will made on the basis of Computer Based Examination. Final merit list of selected candidates will made on the basis of Marks obtain in exam. To get more details bout Examination check the official notification. First of All candidates log on to the official website www.aiimsraipur.edu.in. Now Click on Career section. Click on Official AIIMS Raipur Group C Vacancy Notification. Then read all the instruction & Information from notification properly. Click On Apply Group C Online form link. Make all the information in form properly. Recheck all filled details before submission,. Note Down ID Password for future use. Conclusion : – AIIMS Raipur Recruitment 2018 For 190 Group C Vacancies. Candidates can fill online form for Raipur AIIMS on or before the last date, that is 12.01.2018. To get more information read the above article & Read official Notification. AIIMS Raipur is inviting application form for filling up 130 Senior resident Vacancy. Applicants who are waiting for Vacancy this is a great job opportunity for them. Appliers must check required Qualification & other details for AIIMS Raipur Recruitment 2017 from here. All the information related to Eligibility Criteria, Pay Scale Selection criteria etc. is mention in below article. Candidates must have done post graduation degree/ Diploma in respective trade from any recognized university from any recognized university. More information you can get by reading the official AIIMs Raipur Jobs Notification. Candidates of General/OBC Category need to pay Rs. 1000/- as application fee for AIKMS Raipur Vacancy 2017. Other Category applicants of SC/ST Category must paid Rs. 800/-. Fee must be deposit in favour of “AIIMS Raipur” payable at Raipur. Selected candidates for AIIMS Raipur Recruitment 2017 will paid pay band Rs. 15,600/- to 39,100/- with grade pay of Rs. 6,600/- per month. More information you can collect by reading the official advertisement. Final Selection of the candidates for All India Institute of Medical Sciences Vacancy will made on the basis of Qualification & Personal Interview. Merit list of selected candidates prepare on marks obtain in Interview. First of all candidates log on to the official website. Now visit career section & click on Official AIISM Raipur Jobs Notification link. Now click on Download Application Form link. Take print out of AIIMS Application Form. Fill all information in form properly. Attach all required documents with application form. Now go to attend the walk in interview with application form. Conclusion : – AIIMS Raipur Recruitment 2017 For 130 Senior Resident Vacancy. Candidates can fill form for Vacancy & Go to attend walk in interview from 11th to 13th October 2017.